On January 2, 2012, AGBU’s GenNext partnered with the Pasadena Junior Chamber of Commerce to host a fundraiser at the Rose Bowl Stadium in Pasadena, California. The event featured a college football game between Oregon and Wisconsin. Following a breakfast gathering and a pep talk by GenNext interim director and event coordinator Saro Ayvazians, three mentors, two GenNext interns, and 14 mentees participated in the event to sell over 400 official game day programs. The programs were sold to tailgaters and football fans, with some of the profits retained for use by GenNext. 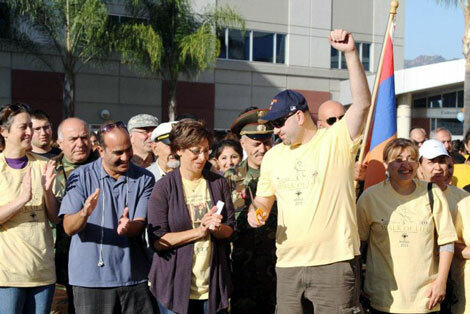 LOS ANGELES - For the first time in its history, the Armenian Bone Marrow Donor Registry (ABMDR) held a Walk of Life event in Fresno, California on October 15, in addition to its annual walkathon in Los Angeles on October 22. The Walks were attended by large numbers of supporters from throughout the Armenian community as well as several elected officials. Both events received extensive media coverage. Walk of Life 2011 kicked off on the morning of October 15 at Fresno’s Eaton Plaza Amphitheater, as teams of supporters from various local organizations gathered to take part in the event. The teams represented the AGBU Fresno Chapter (led by chairperson Zaroohi Der Mugrdechian), the ANC of Fresno (led by chairperson Hygo Ohanessian), the ARS Fresno Mayr Chapter (led by chairperson Angele Ohanessian), the AYF Fresno Kevork Chavoush Chapter (led by chairperson Rita Costanian), and the Fresno State Armenian Students Association (led by Vartush Mesropyan). Just weeks after opening, the mentoring and after-school program Generation Next is already attracting dozens of local teenagers to its new Glendale site, Director Ara Arzumanian said. In addition, some behaviors once regarded as teenage mischief are now treated as crimes, including skipping class, smoking cigarettes and getting into fights. All are reprehensible, Arzumanian said, and can snowball into a criminal record. Generation Next now supervises 107 mentor relationships, Arzumanian said, and there is a waiting list 95 children deep. The following are some of the many photos from Discover Armenia’s visit to an AGBU Children’s Centers, which also houses one of the AGBU Senior Dining Centers. 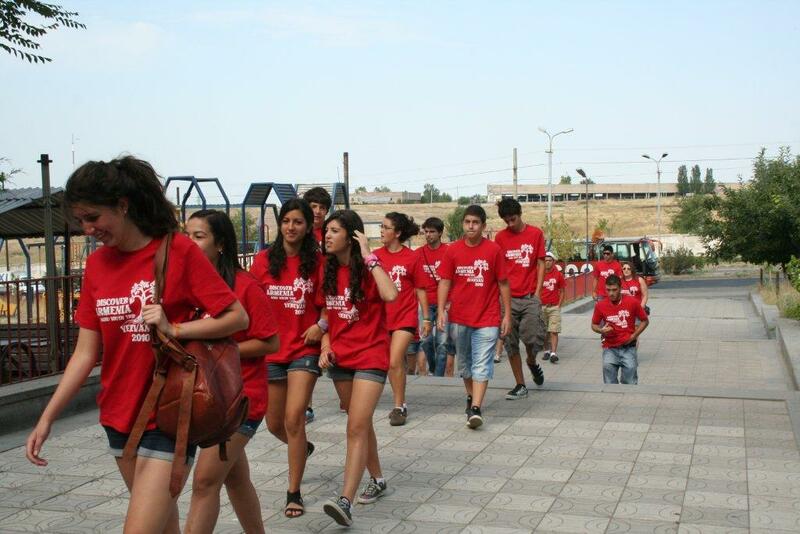 This was a rare opportunity for young Armenians to see the work of AGBU in Armenia. More photos from this year’s Discover Armenia youth trip. 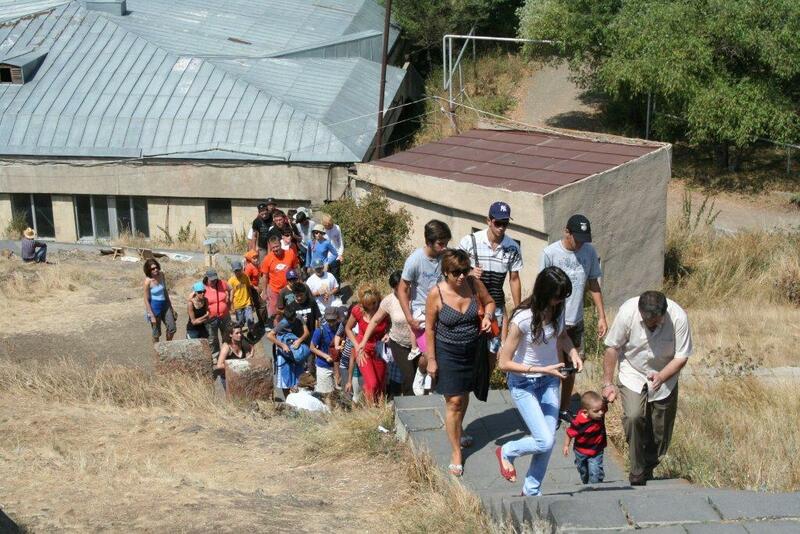 Discover Armenia participants climb the stairs to visit the church at Lake Sevan. 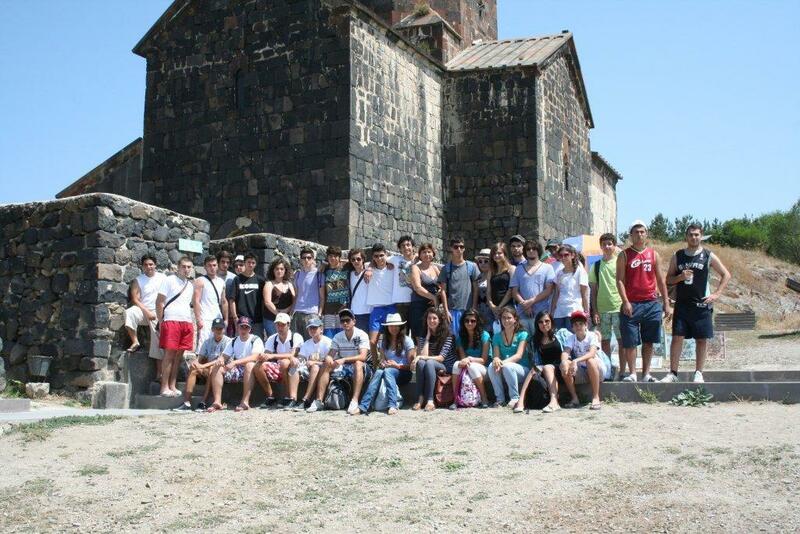 Students at the church on the shores of Lake Sevan.